This year my regular work invigilating the school exam season coincided with the release of one of my most nostalgically anticipated games; Diablo 3. Suffice to say the combination of these two activities has kept me from much substantial development work for the past month, but bills gotta get paid (and Diablo gotta get played?). 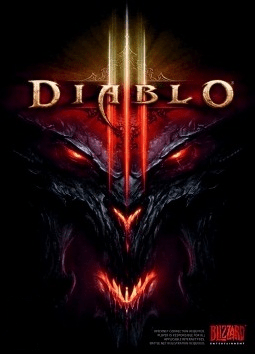 I wonder sometimes if I might ever have got into game development if it wasn’t for the Diablo series, the original game and eventual it’s sequel introduced the barely teenage me for the first time to to the internet culture around games. I spent many hours engaged in crafting websites for guilds, getting involved in ridiculous guild politics and even knocking up micro fansites for speculating about Diablo 2 news and lore. I recall that it was through a chat with an acquaintance of my Diablo era obsession that I first heard about some upcoming game called Half-Life that she thought might be the next big thing. Which for my convoluted path to proper game development, via modding and QA, it definitely was. The atmospheric design of Diablo and it’s randomly generated levels were also a key design inspiration for Free Company. If I wanted to shorthand describe Free Company to someone I might be tempted to say X-Com meets Diablo and Baldur’s Gate by way of HOMM (on acid). So, Diablo 3 has a strange pull on me for those reasons even if for other, ethical and pure design reasons I have come to regard the core Diablo design as something to be slightly dubious of. Long term readers of this blog might recall me expounding on this a while back but the short version is that the loot reward mechanic at the heart of most ARPG type games is uncomfortably similar to slot machines and inspires similar addictive behaviour that may or may not have a relationship with actual fun. Actually, Diablo 3 takes this slot machine analogy a step closer by allowing you to immediately and directly sell the items that pop out when you kill a monster for cold, hard cash. I’ve been playing a lot of it regardless, and they have actually added a bunch of cool design things ontop of that core gambing mechanic that I’ve really liked. The best new thing is undoubtedly the deck building-alike skill system where you can have a ‘deck’ of six active skills picked from a library of around a hundred possible individual skill variations (a smaller range of actual skills that are then each modified by a list of 6 so called ‘runes’, the modifications vary from tiny to dramatic). What this means is that instead of having to start a new character each time you want to try out a new skill as you had to in previous Diablos (and many other roguelikes) you can just hop over to a drag and drop menu and switch out the skill and have the best possible version of it without needing to spend hours carefully hoarding skill points or any other nonsense. It is a great change that allows you to creatively attack challenges when the game becomes too difficult or too stale. There is some question as to whether or not all the available skills are equally balanced for the challenges of the endgame but there will be patches down the line and for most of the playtime you put into levelling up your character the skill system allows you plenty of freedom to experiment and just enjoy the full range of things your character type can do. The other great improvement comes from the careful application of physics and animation to convey a feeling of solidity and power to your characters every movement. It’s hard not to enjoy the feeling of thwacking a zombie with such force that he flies across the terrain, smacking into obstacles as he goes, and Blizzard have got it just about perfect. Making every click as satisfying as possible is really important in a game where you are going to be doing a heck of a lot of it. Anyway, exam season is drawing to a close next week so this blog should resume it’s regular, irregular update cycle of progress updates on Free Company shortly. I totally programmed a function before writing this just to see if I still remembered how code works. Luckily, I did.